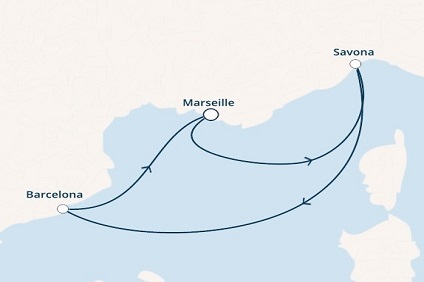 4 Night Cruise sailing roundtrip from Marseilles onboard Costa Magica. 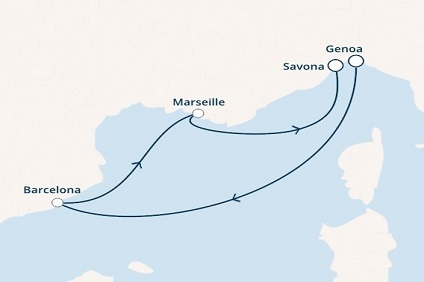 7 Night cruise sailing roundtrip from Savona onboard Costa Fascinosa. 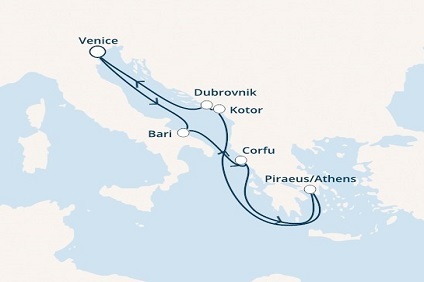 7 Night cruise sailing roundtrip from Barcelona onboard Costa Fortuna. 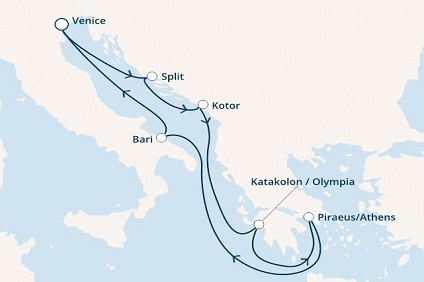 5 Night cruise sailing roundtrip from Savona onboard Costa neoRiviera. 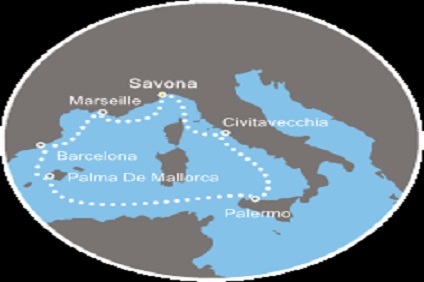 7 Night Cruise sailing from Barcelona roundtrip aboard Costa Diadema. 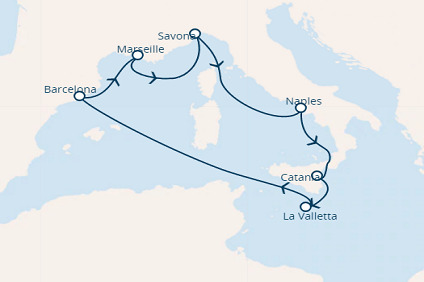 7 Night cruise sailing roundtrip from Naples onboard Costa Fascinosa. 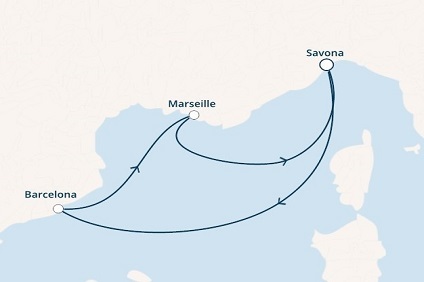 5 Night cruise sailing roundtrip from Marseilles onboard Costa neoRiviera. 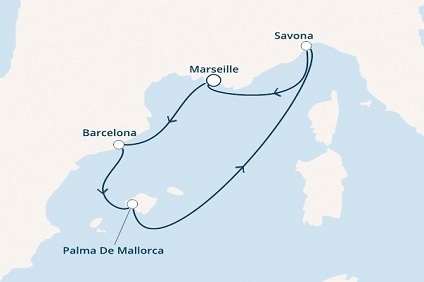 3 Night Cruise sailing roundtrip from Barcelona onboard Costa Magica. 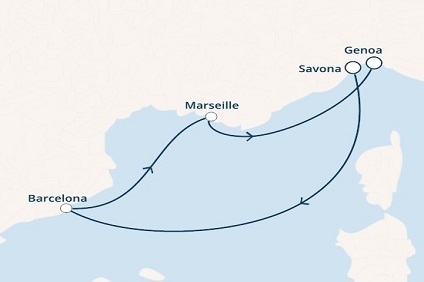 5 Night cruise sailing roundtrip from Barcelona onboard Costa neoRiviera.